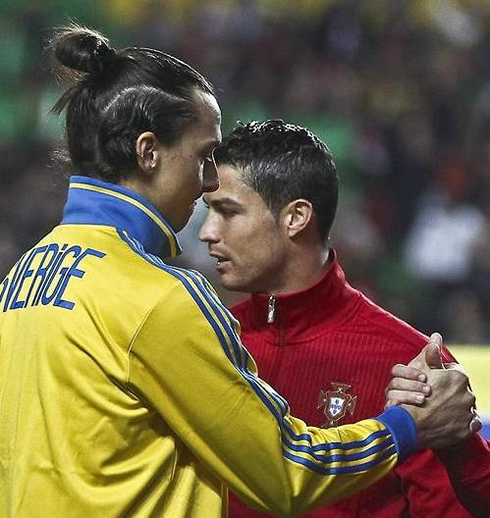 Many people have previewed that this Portugal vs Sweden first leg clash would end up coming down to a head-to-head duel between Real Madrid's Cristiano Ronaldo and PSG's Zlatan Ibrahimovic. If that actually had any truth in it, then it's safe to say that Ronaldo won round 1, after having delivered the winner to his nation, already very close to the dying minutes of the game. Portugal picked up a crucial but narrow win, beating Sweden in Lisbon by 1-0 and assuring what could be a vital advantage ahead of a thrilling 2nd leg that will be played in Solna, next Tuesday. There's only room for one and Portugal doesn't want to miss this unique opportunity to be a part of the World Cup party in Brazil, scheduled for the two months of June and July of 2014. Nothing new in Paulo Bento's approach before this home game against Sweden, as Portugal went into the 1st leg of the playoff with its most predictable line-up. Patrício was the chosen goalkeeper, while Real Marid's Fábio Coentrão managed to recover just in time for this game in order to take the left wing at the back. 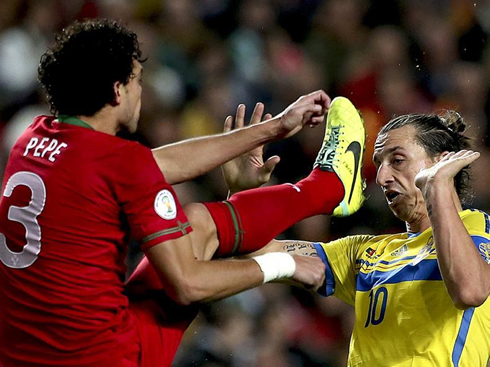 In the centre, Pepe and Bruno Alves made a strong partnership to block the Swedish intents, with Valencia's João Pereira taking the right wing. 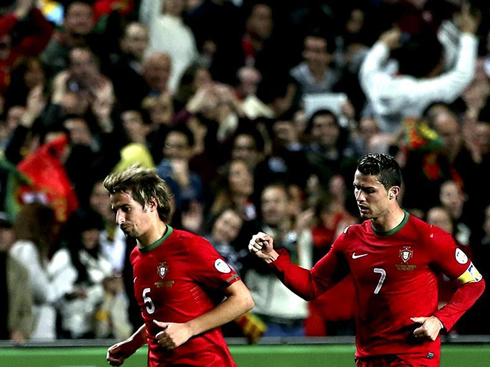 Midfield was filled with the usual trio: Miguel Veloso, João Moutinho and Raúl Meireles. As the for attacking line, Bento decided to leave it for Manchester United's Nani, Cristiano Ronaldo and Hélder Postiga. 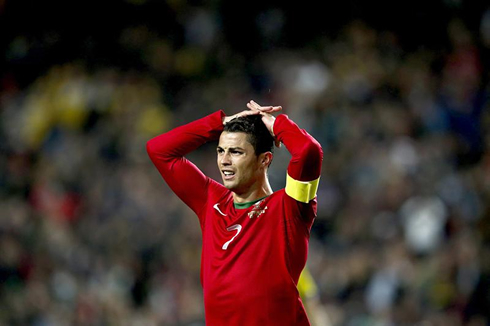 Portugal needed a strong start and that's precisely want Paulo Bento's men went after, right from the kickoff whistle. The game promised to have a heavy tactical component and no one was actually expecting many goals to be pouring like rain. With that in mind, scoring first could very well end up being decisive and that's what both teams have seeked with caution, at least throughout most of the game. Both sides managed to create great goalscoring chances during the first 45 minutes, with Portugal wasting a 1-on-1 situation when AS Monaco's João Moutinho found himself with only Isaksson in front of him. Nevertheless, Sweden didn't lose much time to respond, and they hit back with a couple of chances finished by Elmander and Kallstrom. Neither of the sides got to break the deadlock before the break though and we were in for a second half marked by a lot of nerves and a clear fear of committing mistakes. With so much at stake in a single playoff round, this was the perfect moment for heroes to rise to the occasion. That's what Portuguese and Swedish people were expecting from both Ronaldo and Zlatan at least, but fortunately for the home side, only the first responded to the calling. The Portuguese superstar showed his full availability to put his qualities at the service of his own nation and that ended up paying off later in the game, as he was the one delivering the winner with a great header finish well inside the 12-yards box. It all went down on the 82nd minute, when Miguel Veloso found some space on the left to put in a great cross with his left foot and with that, assisting Cristiano Ronaldo for a very close range header. As we all know by now, there are not many weaknesses in Ronaldo's game and headers are surely nothing where he needs to improve at. With this CR7 goal, Portugal had finally got in front in a crucial moment of the game and the whole team appearted to be highly determinted in not giving away the lead from that point onwards. 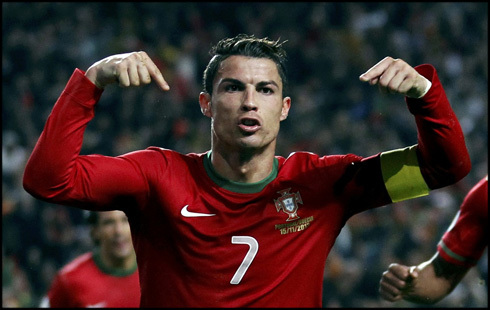 The Portuguese National Team held on the 1-goal lead for those final minutes of the game and they made sure that at least their trip to Sweden will be made with a tight cushion. 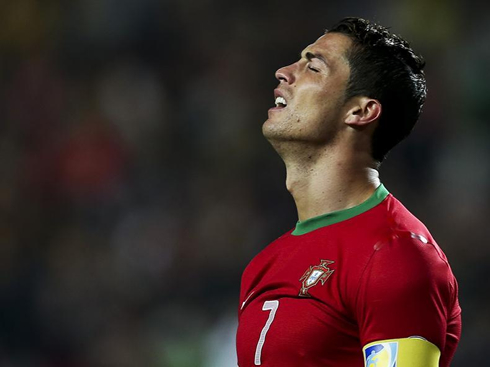 No one will surely expect an easy game next Tuesday when Sweden takes Portugal at home for the FIFA World Cup 2nd leg playoff, but once again, all Portuguese hopes and dreams of being present in Brazil next summer will be put on Cristiano Ronaldo shoulders. Attackers: Nani, Cristiano Ronaldo, Hélder Postiga. 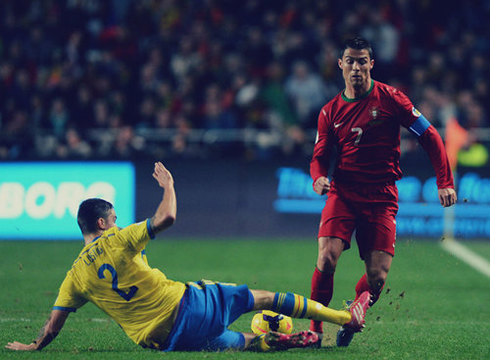 Cristiano Ronaldo next game will be for Portugal, against Sweden for the 2014 FIFA World Cup Playoffs, this Tuesday (November 19, 2013). You can watch Juventus live stream, Sweden vs Portugal, Guinea vs Spain, England vs Germany and France vs Ukraine, all matches provided from our soccer live section.